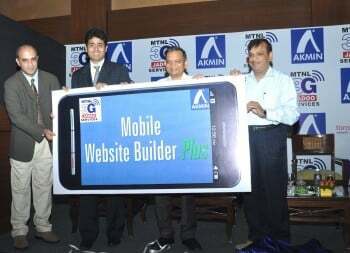 Mahanagar Telephone Nigam Limited (MTNL), the leading telecom service provider with more than 8 million customers in the two metro cities – New Delhi and Mumbai today launched ‘Mobile Web Site Builder Service’ in association with Akmin Technologies. 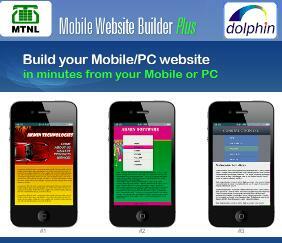 MTNL’s Mobile Web Site Builder is a unique service that allows a non-technical user to create and publish a customized web site within minutes using his mobile phone or PC. The service will be a boon for everyone from small businesses to government offices that are looking to create a mobile & PC web presence. The websites created on mobile phone are as good as on a PC and render flawlessly across handset models. To initiate the service, MTNL mobile users will need to send SMS “MSITE” to 55012 from their MTNL mobile phone. Full service details are provided at the site www.mtnl.akmin.in accessible both via mobile as well as personal computer. This Service will be available to MTNL users in Rs.75 per month. Good but still there are tons of Free service available of this nature online.